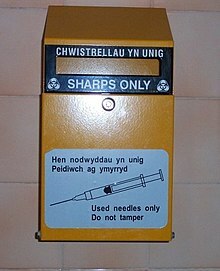 The EMCDDA review noted that research into the effects of the facilities "faces methodological challenges in taking account of the effects of broader local policy or ecological changes", still they concluded "that the facilities reach their target population and provide immediate improvements through better hygiene and safety conditions for injectors." 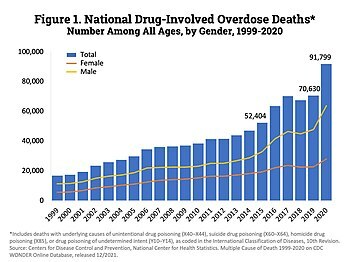 Further that "the availability of safer injecting facilities does not increase levels of drug use or risky patterns of consumption, nor does it result in higher rates of local drug acquisition crime." While its usage is "associated with self-reported reductions in injecting risk behaviour such as syringe sharing, and in public drug use" and "with increased uptake of detoxification and treatment services." However, "a lack of studies, as well as methodological problems such as isolating the effect from other interventions or low coverage of the risk population, evidence regarding DCRs — while encouraging — is insufficient for drawing conclusions with regard to their effectiveness in reducing HIV or hepatitis C virus (HCV) incidence." Concluding with that "there is suggestive evidence from modelling studies that they may contribute to reducing drug-related deaths at a city level where coverage is adequate, the review-level evidence of this effect is still insufficient." The driving principle behind ORT is the program's capacity to facilitate a resumption of stability in the user's life, while they experience reduced symptoms of withdrawal symptoms and less intense drug cravings; however, a strong euphoric effect is not experienced as a result of the treatment drug. In some countries (not the USA, UK, Canada, or Australia), regulations enforce a limited time period for people on ORT programs that conclude when a stable economic and psychosocial situation is achieved. (Patients suffering from HIV/AIDS or Hepatitis C are usually excluded from this requirement.) 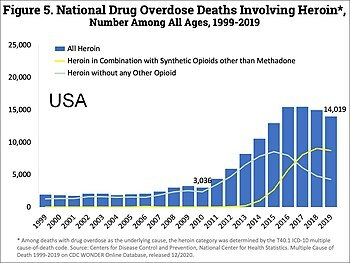 In practice, 40-65% of patients maintain complete abstinence from opioids while receiving opioid replacement therapy, and 70-95% are able to reduce their use significantly, while experiencing a concurrent elimination or reduction in medical (improper diluents, non-sterile injecting equipment), psychosocial (mental health, relationships), and legal (arrest and imprisonment) issues that can arise from the use of illicit opioids. Downtown Emergency Service Center (DESC), in Seattle, Washington, operates several Housing First programmes which utilize the harm reduction model. University of Washington researchers, partnering with DESC, found that providing housing and support services for homeless alcoholics costs taxpayers less than leaving them on the street, where taxpayer money goes towards police and emergency health care. 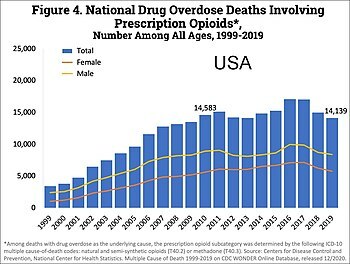 Results of the study funded by the Substance Abuse Policy Research Program (SAPRP) of the Robert Wood Johnson Foundation appeared in the Journal of the American Medical Association in April 2009. This first controlled assessment in the U.S. of the effectiveness of Housing First, specifically targeting chronically-homeless alcoholics, showed that the programme saved taxpayers more than $4 million over the first year of operation. During the first six months, the study reported an average cost-savings of 53 percent (even after considering the cost of administering the housing's 95 residents) — nearly $2,500 per month per person in health and social services, compared to the per month costs of a wait-list control group of 39 homeless people. Further, despite the fact residents are not required to be abstinent or in treatment for alcohol use, stable housing also results in reduced drinking among homeless alcoholics. ^ "INCB 2001 Annual Report - Oceania" (PDF). p. 559. Archived from the original (PDF) on 2010-11-25. Retrieved 2010-03-28. ^ Islam, MM (2010). "Needle Syringe Program-Based Primary Health Care Centers: Advantages and Disadvantages". Journal of Primary Care & Community Health. 1 (2): 100–103. doi:10.1177/2150131910369684. PMID 23804370. ^ Harris, HW; Young, DM (2002). "Care of injection drug users with soft tissue infections in San Francisco, California". Arch Surg. 137 (11): 1217–1222. doi:10.1001/archsurg.137.11.1217. ^ Dolan, Kate; Kimber, Jo; Fry, Craig; Fitzgerald, John; Mcdonald, David; Trautman, Franz (2000). "Drug consumption facilities in Europe and the establishment of supervised injection centres in Australia" (PDF). Drug and Alcohol Review. 19 (3): 337–346. doi:10.1080/713659379. Archived from the original (PDF) on 2004-09-24. ^ EMCDDA 2010 Rehm J, et al. "Chapter 4: Perspectives on harm reduction — what experts have to say" (PDF). ^ a b Beletsky, Leo; Davis, Corey S.; Anderson, Evan; Burris, Scott (February 2008). "The Law (and Politics) of Safe Injection Facilities in the United States". American Journal of Public Health. 98 (2): 231–237. doi:10.2105/AJPH.2006.103747. ISSN 0090-0036. PMC 2376869. PMID 18172151. ^ "21 U.S. Code § 856 - Maintaining drug-involved premises". LII / Legal Information Institute. Retrieved 2017-10-26. ^ "Bill Text - AB-186 Controlled substances: safer drug consumption program". leginfo.legislature.ca.gov. Retrieved 2017-10-26. ^ Kral, Alex H.; Davidson, Peter J. (2017). "Addressing the Nation's Opioid Epidemic: Lessons from an Unsanctioned Supervised Injection Site in the U.S.". American Journal of Preventive Medicine. 53 (6): 919–922. doi:10.1016/j.amepre.2017.06.010. PMID 28801014. ^ Kahan, M; Srivastava, A; Shen, K (2006). "Why we object to NAOMI: Heroin maintenance in Canada". Canadian Family Physician. 52 (6): 705–6, 709–11. PMC 1780152. PMID 16812955. ^ UNODC "World Drug Report 2000". Retrieved 2010-05-04. 2001 pp 162-165 (see aggregated average for each OECD country in Harm Reduction Discussion page). ^ "Tools for Starting a Naloxone Program". Open Society Foundations. Open Society Foundations. 2013. Retrieved 17 March 2014. ^ Stonetreeus (23 March 2013). "THANKS FOR THE NALOXONE, BUT WHY DO WE HAVE TO WAIT?". Stonetree Harm Reduction. Stonetree Harm Reduction. Retrieved 30 March 2013. ^ Farsalinos, Konstantinos; LeHouezec, Jacques (2015). "Regulation in the face of uncertainty: the evidence on electronic nicotine delivery systems (e-cigarettes)". Risk Management and Healthcare Policy. 8: 157–167. doi:10.2147/RMHP.S62116. ISSN 1179-1594. PMC 4598199. PMID 26457058. ^ Johnson, BT; Scott-Sheldon, LA; Huedo-Medina, TB; Carey, MP (January 2011). "Interventions to reduce sexual risk for human immunodeficiency virus in adolescents: a meta-analysis of trials, 1985-2008". Archives of Pediatrics & Adolescent Medicine. 165 (1): 77–84. doi:10.1001/archpediatrics.2010.251. PMC 4361805. PMID 21199984. ^ Underhill, K; Operario, D; Montgomery, P (2007-10-17). Operario, Don, ed. "Abstinence-only programs for HIV infection prevention in high-income countries". Cochrane Database of Systematic Reviews (4): CD005421. doi:10.1002/14651858.CD005421.pub2. PMID 17943855. ^ Hathaway AD, Tousaw KI (February 2008). "Harm reduction headway and continuing resistance: insights from safe injection in the city of Vancouver". Int. J. Drug Policy. 19 (1): 11–6. doi:10.1016/j.drugpo.2007.11.006. PMID 18164610. ^ Nordt C, Stohler R (June 2006). "Incidence of heroin use in Zurich, Switzerland: a treatment case register analysis". Lancet. 367 (9525): 1830–4. CiteSeerX 10.1.1.190.1876. doi:10.1016/S0140-6736(06)68804-1. PMID 16753485. ^ "Drug Prevention Network Canada - Harm Reduction". 2010-04-24. Archived from the original on 2010-04-24. Retrieved 2016-08-11.